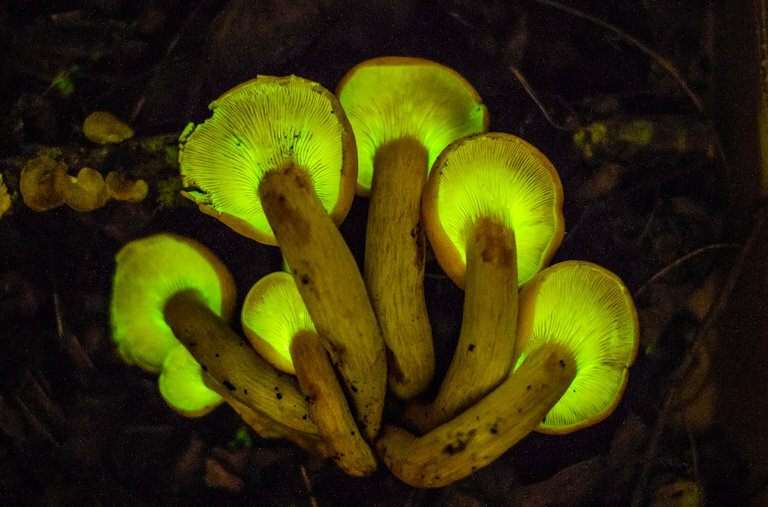 One spring night in Wisconsin, John Martin, a biologist, was in his backyard with an ultraviolet flashlight. Suddenly, a hot-pink squirrel flew by. It was a southern flying squirrel, a small, furry creature most active at dawn and dusk. Under most circumstances, it has a warm brown color. But in the beam of Dr. Martin’s flashlight, it sported a gaudy Day-Glo hue closer to something you might see in a nightclub or a Jazzercise class circa 1988. “He told his colleagues at Northland College, but of course, everyone was pretty skeptical,” said Allison Kohler, a graduate student at Texas A&M University. Dr. Martin asked Ms. Kohler, then a student at Northland, to look into it. 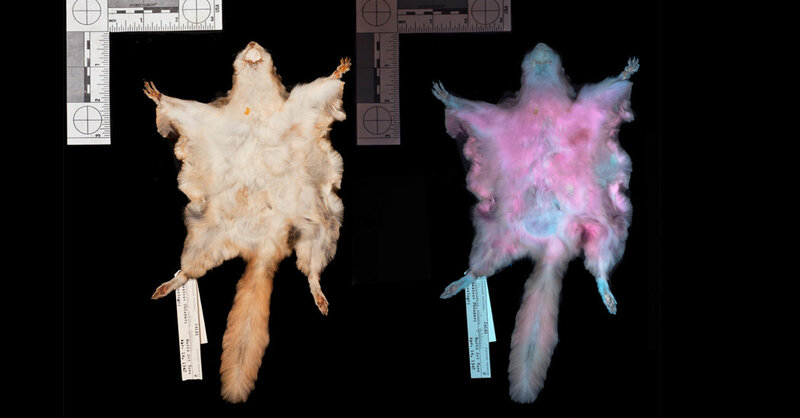 After examining more than 100 specimens of flying squirrels across two museum collections and spotting five more squirrels under UV light in the wild, the researchers and their colleagues reported surprising results last week in the Journal of Mammalogy: The pink is real. Three different species of flying squirrel — southern, northern and Humboldt’s flying squirrel — turned that color under ultraviolet illumination. What the flying squirrels get out of it is still a mystery. Confirming that the squirrels are even capable of seeing in ultraviolet wavelengths will require additional study, Ms. Kohler said. While ultraviolet fluorescence in mammals has not been closely studied, it is not unheard-of in other parts of the animal kingdom. Birds and butterflies have many brilliant markings that are usually invisible to humans, who can’t see ultraviolet wavelengths except under special lighting, but that are easily spotted by other members of their species. 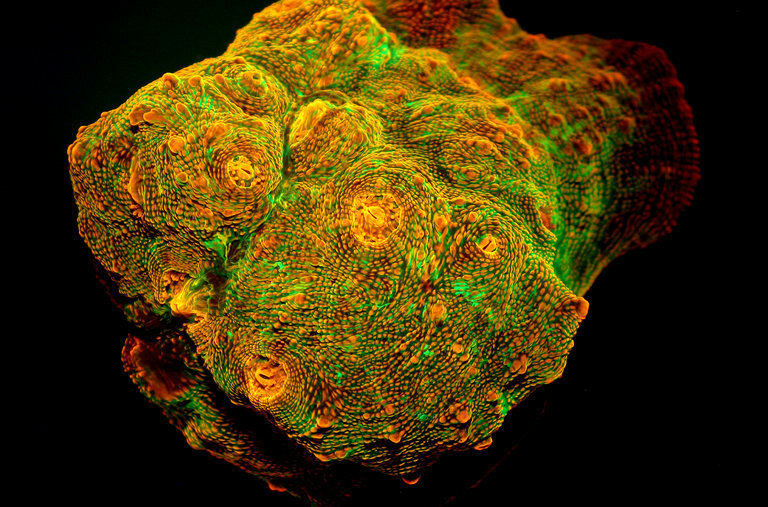 Fluorescence is common in the oceans, too. Studies have found that birds may use fluorescent markings when choosing a mate, and fish flash at other members of their species while darting through reefs. The researchers have some hypotheses concerning what’s behind the squirrels’ Day-Glo displays. Ultraviolet rays are abundant during the dawn and dusk periods when the squirrels are moving around. 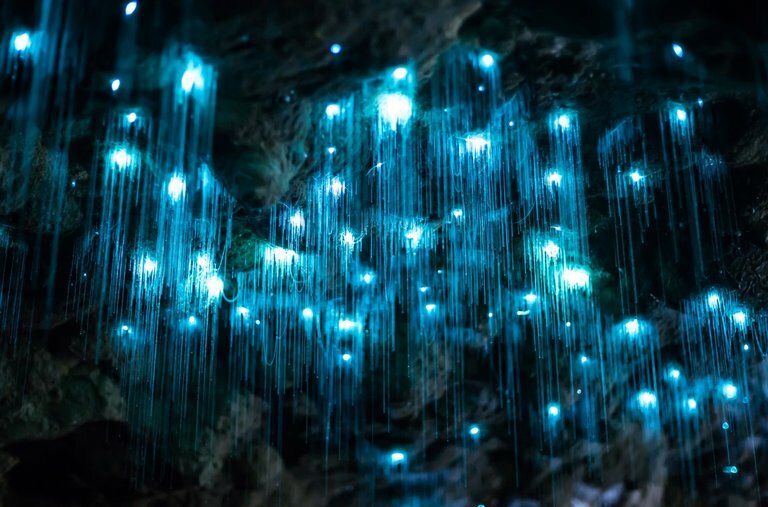 So it is reasonable to expect that the fluorescence is visible to other organisms even when there are no biologists with UV flashlights in the vicinity. The vivid pink color might have evolved to confuse the owls who prey on the squirrels. Those birds of prey fluoresce in precisely the same hue themselves; a flying squirrel may look, superficially at least, like a flying owl. Or, if it’s confirmed that the squirrels see UV, the color might have something to do with mating or signaling to other flying squirrels.